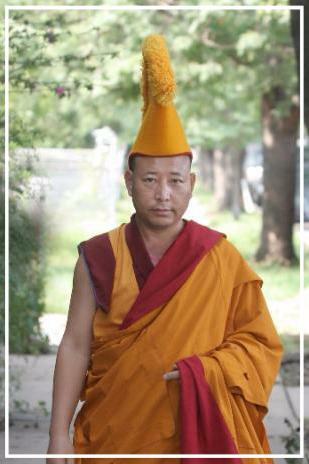 Welcome to The Rime Buddhist Center’s Fall curriculum. This semester the first half of the Tier 2 classes begin. We are also excited that our Tier 3 classes begin this year. Geshe Lharampa Tsewang Thinley the Drepung Gomang Geshe in Residence at the Rime Center will be leading classes on Shantideva’s Bodhisattvacaryāvatāra. Look for details below on these exciting opportunities to deepen your practice with the support of fellow practitioners. All classes meet on Wednesday evenings from 7:45-9 p.m., with an optional meditation session from 7-7:30 p.m.
Have you always wanted to understand Buddhism? Buddhism is a 2,500 year old tradition that teach us how to end pain and suffering in ourselves and others. This 12 week course will cover: (1) Meditation instruction, (2) Life of the Buddha, (3) Basic Buddhist teachings, (4) Three schools of Buddhism and much more. For the followers of the Buddha and his teachings, there is a need for great emphasis on the practice of meditation. One must see the straightforward logic that mind is the cause of confusion and that by transcending confusion one attains the enlightened state. This can only take place through the practice of meditation. The Buddha himself experienced this, by working on his own mind, and what he learned has been handed down to us. The four foundations of mindfulness are regarded as fundamental and lays a strong foundation for practice. This class focuses on the four thoughts that turn the mind toward the Dharma. These are the four contemplations are namely: 1) the difficulty of finding the freedoms and advantages, and 2) the impermanence of life, which turn the mind away from the concerns of this life; and the reflections on 3) the defects of samsara, and on 4) action (karma: cause and effect), which turn the mind away from our attitudes and conduct with respect to future lives. This class is focused on understanding the circumstances for people who wish to embark upon the path of the Mahayana should try to establish in their practice. Whether is it finding solitude, a place that has all the necessary conditions and is in harmony with the Dharma, or finding a teacher. The class will also look at the relationship between student and teacher and how to engender that relationship with mutual respect and growth for ones practice. Have you received and empowerment from a teacher and asked to do a tantric practice, but you are unsure what it all means? The Buddhist teachings can be classified into two divisions, which represent two approaches to enlightenment, Sutra and Tantra. Sutra referred to as the ‘Casual Vehicle’ because the practices consist of assembling the causes that will lead to liberation. Tantra however, is referred to as the ‘Resultant Vehicle’ because the practices take fruition as the path by regarding buddhahood as inherently present and regarding the path as the act of uncovering or revealing this basic state. This class will introduce you to tantric initiations and preliminary practices as well as the creation and completion practices. It will also look at both Mahamudra and Dzogchen practices and end with a sadhana practicum. 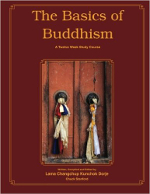 Treasured by Buddhists of all traditions, The Way of the Bodhisattva is a guide to cultivating the mind of enlightenment, and to generating the qualities of love, compassion, generosity, and patience. This text has been studied, practiced, and expounded upon in an unbroken tradition for centuries, first in India, and later in Tibet. Presented in the form of a personal meditation in verse, it outlines the path of the Bodhisattvas-those who renounce the peace of individual enlightenment and vow to work for the liberation of all beings and to attain buddhahood for their sake. This class will look at how we generate Bodhichitta through understanding the benefits of Bodhichitta. Treasured by Buddhists of all traditions, The Way of the Bodhisattva is a guide to cultivating the mind of enlightenment, and to generating the qualities of love, compassion, generosity, and patience. This text has been studied, practiced, and expounded upon in an unbroken tradition for centuries, first in India, and later in Tibet. Presented in the form of a personal meditation in verse, it outlines the path of the Bodhisattvas-those who renounce the peace of individual enlightenment and vow to work for the liberation of all beings and to attain buddhahood for their sake. This class will look at how we generate Bodhichitta through confessing our negativity. Treasured by Buddhists of all traditions, The Way of the Bodhisattva is a guide to cultivating the mind of enlightenment, and to generating the qualities of love, compassion, generosity, and patience. This text has been studied, practiced, and expounded upon in an unbroken tradition for centuries, first in India, and later in Tibet. Presented in the form of a personal meditation in verse, it outlines the path of the Bodhisattvas-those who renounce the peace of individual enlightenment and vow to work for the liberation of all beings and to attain buddhahood for their sake. This class will look at how we generate Bodhichitta through accumulating merit in order to create the right conducive circumstances.